The Results of the Kick-a-thon are in! One of the guiding principles of a Classical Dojo is the concept of Giri - or duty/responsibility. To the Dojo, the Art and our community, both local and Global. So it is only natural that we in CMAC should work on looking beyond ourselves and our own situations, to help others - all sentient beings. Especially those who cannot help themselves. This forces us to forsake our customary self centred-ness and develop our 'other centred-ness' - Bodhicitta the path to enlightenment. A big Thank You to everyone who pledged and participated in our 1st Annual Kick-A-Thon to save the whales and dolphins. There was a strong surge of registrations from Sakura nearing the day of the event, but here is how we finished.. In 1st Place - Enzan Dojo! The next Kick-a-thon will be held in the Spring. Hasu and Sakura better get prepared, because Enzan Dojo is going to defend their underdog title with all its might! Psihoyos and his crew travel to Taiji, Japan, a town that appears to be devoted to dolphins and whales. In a nearby, isolated cove, however, surrounded by wire fences and "Keep Out" signs, an activity takes place that the townspeople attempt to hide from the public. 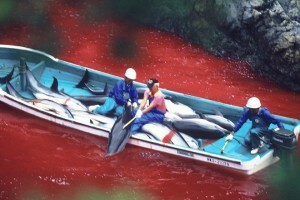 In the cove, a group of Taiji fishermen engage in dolphin drive hunting. 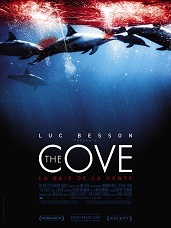 The film states that the dolphin hunt is, in large part, motivated by the tremendous revenue generated for the town by selling some of the captured dolphins, female bottlenose dolphins, to aquariums and marine parks and killing the majority of the rest. Many of us have experienced the excitement and awe of watching 8,000 pound orcas, or "killer whales," soar out of the water and fly through the air at sea parks, as if in perfect harmony with their trainers. Yet this mighty black and white mammal has many sides -- a majestic, friendly giant, seemingly eager to take trainers for a ride around the pool, yet shockingly -- and unpredictably -- able to turn on them at a moment's notice. 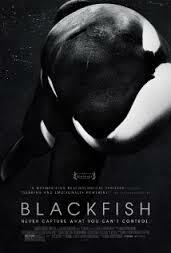 BLACKFISH unravels the complexities of this dichotomy, employing the story of notorious performing whale Tilikum, who -- unlike any orca in the wild -- has taken the lives of several people while in captivity. So what went wrong? I would like to donate C$50.00 to the cause and will share this event. Leslie’s TeamInfini liked this on Facebook.